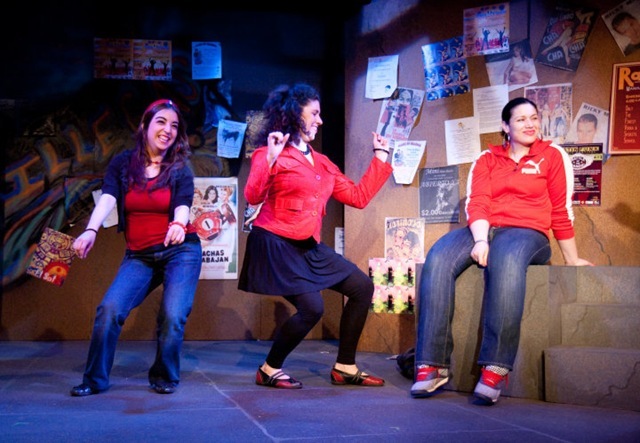 So much of Teatro Luna’s current production reflects their collectivist approach to creating Latina-driven theater. 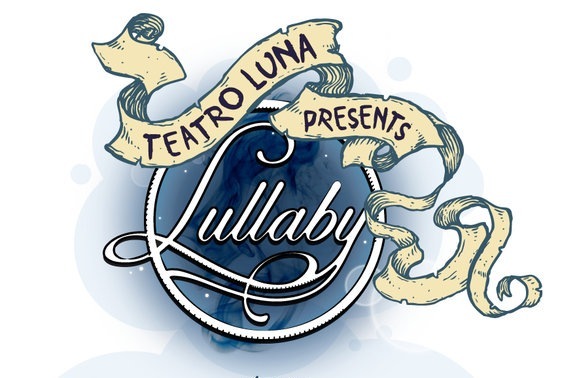 Their program lists the all-female cast without designating their roles in Diane Herrera’s new play, Lullaby. 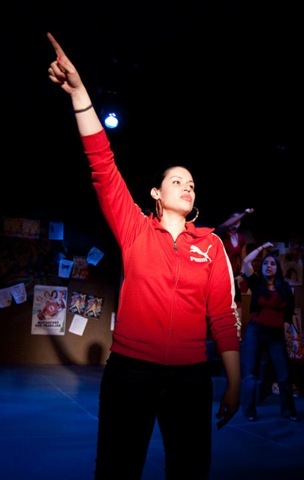 Both playwright and producer Alex Meda emphasize Teatro Luna’s collective development process. “Writing is a lonely profession,” says Herrera in the notes, “With the love and support of these talented women, I was not alone.” As a play, Lullaby itself contains a strong family feeling. While drawing in plot devices from thrillers, science fiction and fantasy, its collection of stories still center on traditional women’s roles as lovers, mothers, and daughters. Framing each told tale is a mother in a hospital room, telling story after story to her comatose daughter, hospitalized from some unnamed accident. It’s a difficult and multilayered conceit to hold together, but directors Maria Enriquez and Miranda Gonzalez tautly and delicately sustain Lullaby’s translucent dramatic arc. Behind each story, however bizarre or funny, lies a mother’s never ending love and concern, even a desperate feeling of never being able to do enough or be enough for the ones she loves. The tales are plentiful—a woman continually strives to save her suicidal sister; a high-maintenance diva shows up at couples counseling with the robot boyfriend she created; a real Little Mermaid gives up on the love she sacrificed her community and family for; an overworked, unappreciated office temp struggles to turn around her shallow fellow employees—and many more. Every tale migrates into the realm of fantasy, humor almost always lightens each story’s theme of lost love, lost opportunities, lost children and, ultimately, lost lives. Make no mistake: these Latina ladies are very funny—again and again their comic timing alone takes one by surprise. Their seamless incorporation of drama, dance movement and acrobatics in the final story totally seals the deal on the mother’s lonely vigil with her unconscious daughter. The cast’s dexterous ability to shift from tale to tale, within the framework of the mother waiting for her daughter to reawaken, is probably the production’s greatest achievement. Herrera’s tales shift uneasily—but hardly frighten or horrify. At first, the introduction of a traditional harlequin figure at the start of Lullaby seems artsy and pretentious, but each reappearance of the harlequin sets the scene on edge, with peril suggested by the uncertainty of its presence. If there is any drawback to Lullaby, it’s that its darkness often doesn’t go dark enough. Herrera’s writing almost seems afraid to go there, afraid to go to the point where the child is truly lost, the opportunity for love and a future is lost, and there is no bringing it back, no laughing it off, no hoping that it might be different. Much as I appreciate the playwright’s desire to create an almost eternal state of suspension for the audience, maintaining that effect, even to the end of the play, reduces the mother in the hospital room to a thin symbolic figure; not a mother we can deeply connect with. This is a woman we want to know, even if she is like every other mother in her desperate attempts to make her daughter revive. Her child is gone and may never come back. The agony of her personal nightmare must become ours. 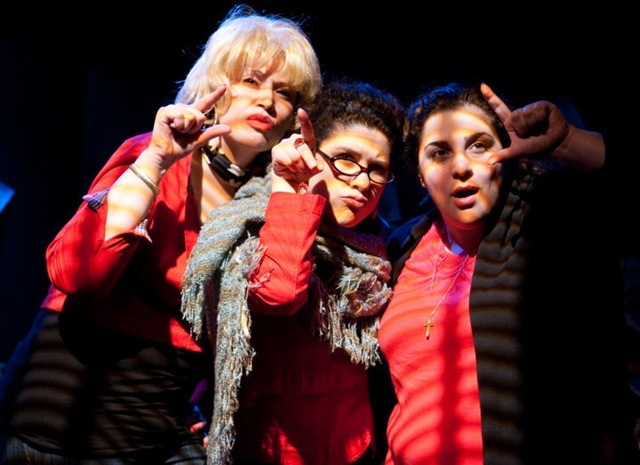 at Chicago Dramatists, 1105 W. Chicago Ave.
Don’t miss a "crazy-fun" evening with the ladies of Teatro Luna! 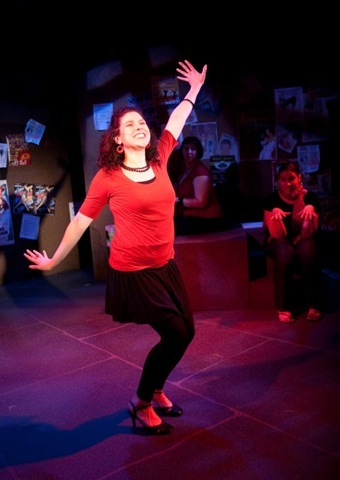 Get your evening started with the show critics are calling "90 minutes of pure magic" (Steadstyle Chicago), and then, celebrate the kind of chica you are with one of our signature drinks after the show! Toast with our crisp Modern Girl Cocktail, try our Proper Latin Girl Cosmo or maybe you want to have one of our Bad Girl Shots! After watching Lunatic(a)s, you’ll KNOW exactly what kind of girl you are. 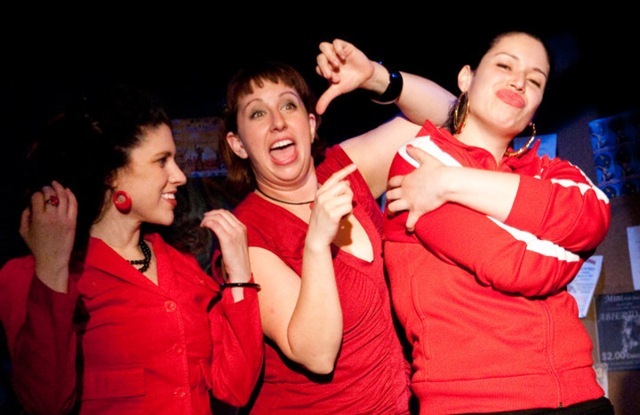 Stay after the show for a dialogue with members of the cast and crew.Teatro Luna’s smash hit about women’s everyday insanity returns for a full remount- kicked up Luna-style and crazier than ever-with new stories and more musical numbers! Some adult language and a sprinkle of Spanglish. 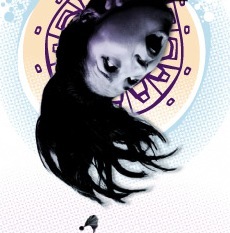 Teatro Luna (Chicago’s only all Latina theatre company that produces a full season)’s Lunitic(a)s is a montage of scenes, vignettes and songs, which explore woman’s “everyday insanity” using the conceit of Mayan lunar mythology. It’s a great concept paired with a sophisticated execution that does not dwell in the academic or the poetic but manages to keep both feet planted firmly in the real. The piece features some of the most honest performing I have seen in the city, with talented and vibrant young actresses who rarely if ever take a misstep. Although the show has structural problems, stemming from cramming most of the darker pieces into the last third of the show, the play still maintains a grace and dignity that does not verge on the pretentious. A collaborative, original performance piece about the everyday struggles of womanhood is a risky undertaking today, just as it was in 2007 when Teatro Luna first staged Lunitic(a)s. The concept of the show has an academic feel to it; it is so empowering to it’s actresses, so quietly reverential of their lives and performances, it could pass for the culmination of freshman year at a conservatory; but the execution—writing, acting and directing is strictly professional. These women take themselves and this project seriously, and it pays off. The end result is an honest, simple and refreshing piece of theatre that has the courage to be truthful, introspective and serious when so much theater strives to stay one step ahead of potential criticism. 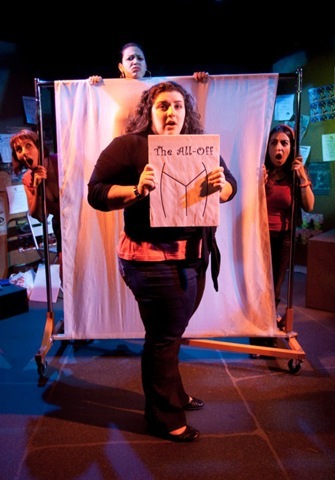 The play is clearly collaboratively written, with each piece tailor made for the performer. These performances are so vulnerable that you feel like you could climb on stage and join in. These women take the stage with all of the technical astuteness of a trained actor but with the relaxed self-interest of the most charming un-trained performer. 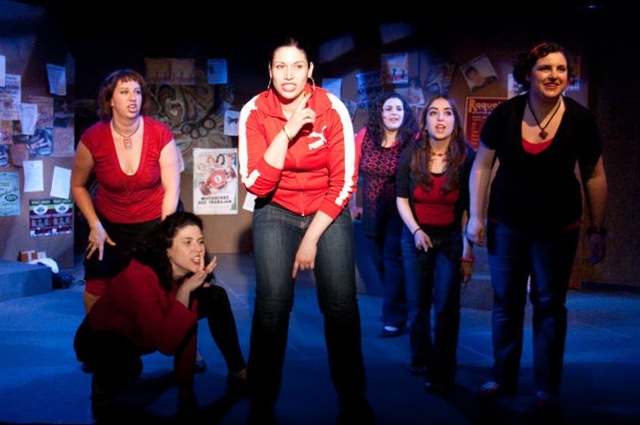 They live each moment with deep and open energy that is exactly what you want to see from an all female theater company. 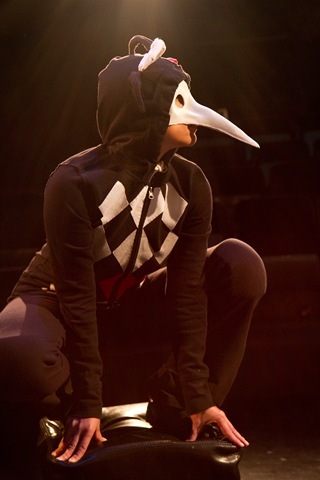 Each actor brings her own unique worldview to the stage in this perfectly balanced ensemble. Director Tanya Saracho tempers the course, dry wit of show with graceful movements, slick blocking and crystal clear focus. Mac Vaughey’s lush and communicative lighting design is nicely paired with the elegantly conceived set designed by Dan Matthews. The piece is not without it’s problems. The vignettes seem to be arranged in order of darkness of subject, leaving the last third to drag and become a bit uncomfortable. By the end of the play, the audience has caught on to the possibility that a lot of these stories are autobiographical (partly because of their presentation and partly because it says so in the program) and the final third of the show is actually hard to watch. By the end of the play, the women seem broken: the worst parts of their lives have been on display. It’s so personal and dense, at times it feels more like therapy than art. Maybe it’s a choice, but it ends on a bleak view of womanhood. 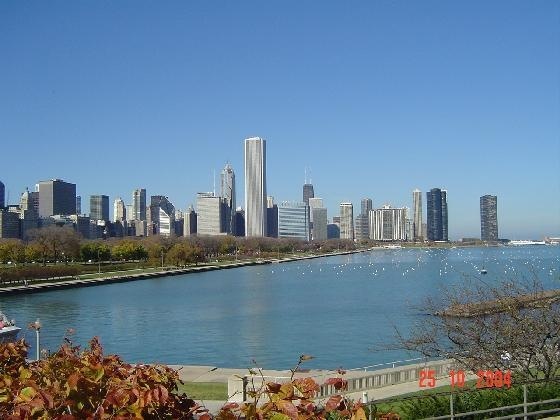 Which is not to say it is not affective. It’s a show that resonates and lingers for days after it’s been experienced. 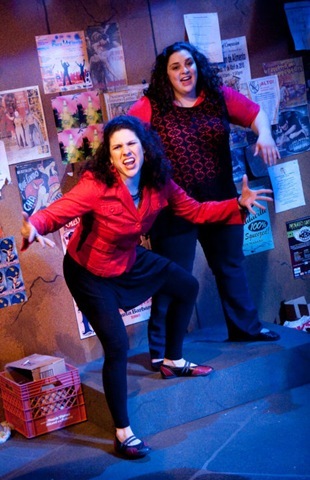 Go see Lunatic(a)s at Chicago Dramatists, you’d be crazy to miss it!